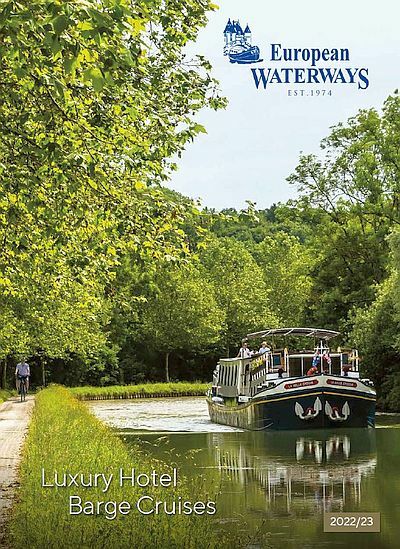 If we had to single out just one excursion on our hotel barge tours as a once-in-a-lifetime experience, it would have to be the visit to the renowned Domaine Bouchard Père et Fils in Beaune, the pearl at the centre of our cruise aboard hotel barge L’Impressionniste in Burgundy. Halfway through your week-long cruise aboard L’Impressioniste – our elegant, spacious hotel barge that began life as a Dutch cargo vessel – you will be taken from the canalside on a journey of discovery through the famous Burgundian vineyards. Bouchard Père et Fils is a wine domaine with a rich history. It was founded in 1731 by Michel Bouchard, making it one of the oldest wine estates in Burgundy, spanning three centuries and nine generations. The family purchased vineyards in Volnay in 1775, which were added to during the French Revolution with holdings in Beaune, including the Beaune Grèves Vigne de l’Enfant Jesus. Bouchard now own the most extensive vineyards in the Côte d’Or. Their total holdings amount to 130 hectares, including 74 hectares of premier crus and 12 hectares of grand crus vines. You will get the opportunity to learn more about the fine wines produced by Bouchard Père & Fils on a visit to the Vigne de l’Enfant Jesus. From there you will travel to picturesque Beaune, the charming cobbled town which is the wine capital of Burgundy. The tour of the Bouchard Père & Fils winery is a real education, enabling you to absorb the knowledge of passionate vintners for whom wine is a way of life, tour the extensive cellars and, of course, enjoy a private tasting of some delicious vintages. Soaking up all of that information – and the wine! – is likely to work up your appetite and this European Waterways tour gives you the unique opportunity to dine in the orangery of the fifteenth-century Château de Beaune. The château, a former royal fortress built by King Louis XI, was purchased by Bouchard Père & Fils in 1820. Its cellars, some of which are up to 10 metres deep, provide the optimum conditions for storing fine wines. The domaine’s collection includes bottles dating back to the 19th century. The gastronomic lunch in this beautiful Burgundian châteaux is the ultimate reward for any oenophile who appreciates the history and significance of Bouchard Père & Fils in this quintessential wine-growing region of France.